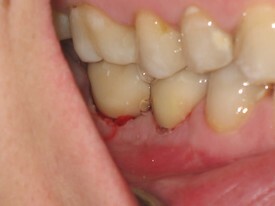 Patient broke one lower central incisor and was in danger of losing the other one. 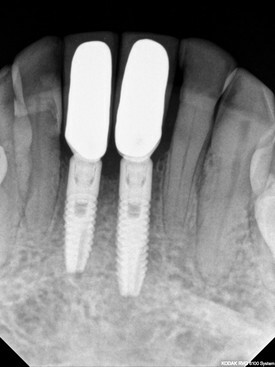 Patient decided to move forward with 2 implants to stabilize deteriorating condition. 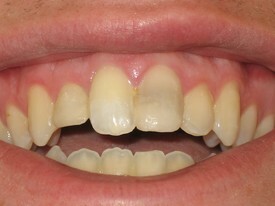 Patient was tired of crooked teeth and the discolored central incisor from past root canal treatment. 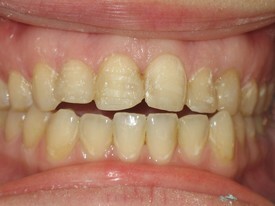 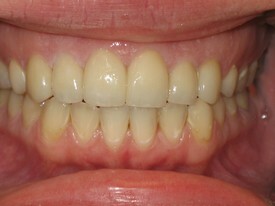 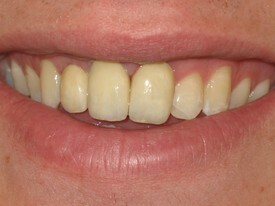 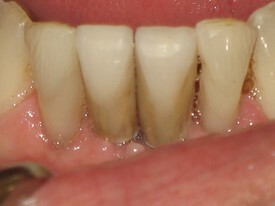 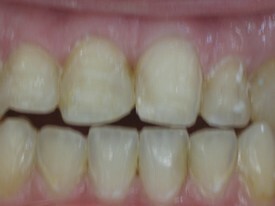 Internal bleaching and porcelain crowns for 3 of the front teeth was the treatment of choice. 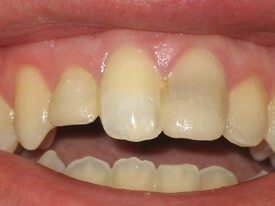 The fourth front tooth was not touched in order remain more conservative for future treatment. 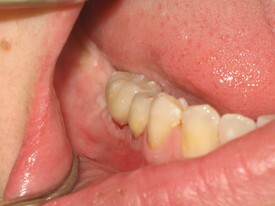 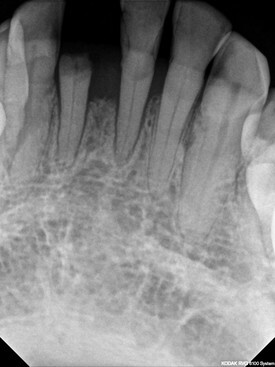 Patient presented with an anterior open bite and flat worn teeth in the back. 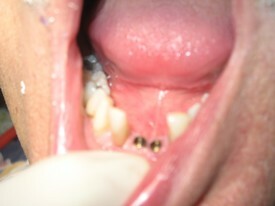 She had completed orthodontic (braces) work in the past. 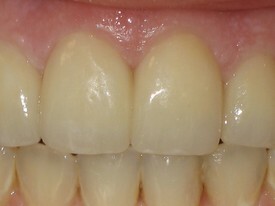 While it is not always the preferred treatment to perform orthodontic work with crowns, the only other option she had was orthognathic surgery (section the upper jaw and re-position it down in an ideal place. 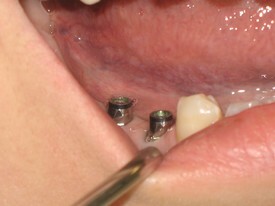 First, we re-established her bite and function in the back with fillings and selected crowns. 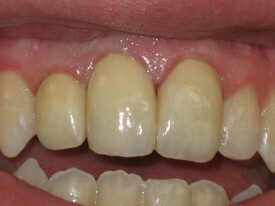 Then, we closed her open bite in the front with 8 upper all ceramic crowns and for the first time, establish a canine functional guidance, which is ideal for preserving her TMJ.